GREEN MONSTER!™ Understencil Wiping Rolls offer superior performance compared to a standard paper-based roll. This revolutionary product is the only understencil wiping roll to be truly ESD-safe and lint-free! Our Standard Paper (Cellulose) Understencil Wiping Rolls are a good option for those looking for an economy roll replacement without the additional benefits of a premium roll. NOVA-TECH™ 9000 Understencil Wiping Rolls offer the same benefits as the GREEN MONSTER!™ rolls – White in color. 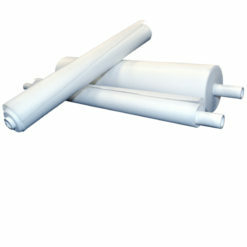 Aquavator Understencil Wiping Rolls are comprised of a synergistic blend of virgin rayon and polyester fibers that contains a water-active cleaning agent that will loosen and clean solder paste effectively from the bottom of stencils.